We just can't seem to get enough of Kajol's quirky style and her amazing humour and one of her recent Instagram posts clearly explains why. 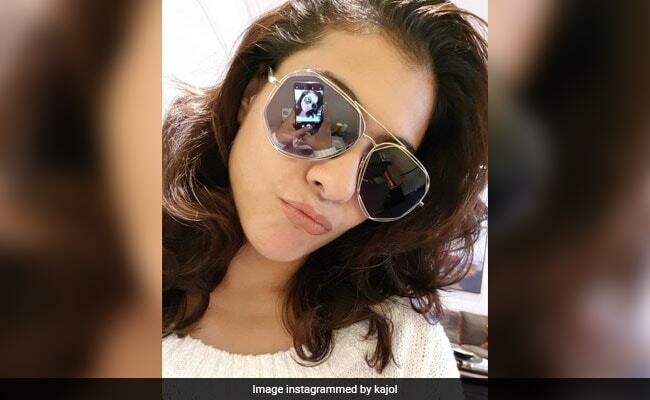 On Saturday, Kajol shared a picture of herself on her Instagram profile, in which she can be seen pouting. However, it was the caption on her post that won our hearts. The Helicopter Eela actress, who wasn't quite sure about how to pout, asked her fans: "Is this how the pouts done?" She added, "My reflection is also asking the same question." Her post received over 1 lakh likes within a few hours and her post was flooded with several interesting comments. "Absoulely," wrote a fan. Another fan wrote: "beautiful." Is this how the pouts done .... . ? My reflection is also asking the same question. Kajol shared another picture on her Instagram profile and accompanied it with one helluva post. In the picture, Kajol could be seen looking at the floor and she wrote: "Looking down and wondering...... Where's my food?" Looking down and wondering........ WHERES MY FOOD ? Kajol often delights her fans with amazing pictures with hilarious captions. The actress' "kicking off the week" posts deserve a special mention. Kajol has not announced her next project as off now but the actress will reportedly be seen in Taanaji: The Unsung Warrior, which stars her actor husband Ajay Devgn. Kajol was last seen in Pradeep Sarkar's Helicopter Eela, co-starring Riddhi Sen and Neha Dhupia.